e.l.f. 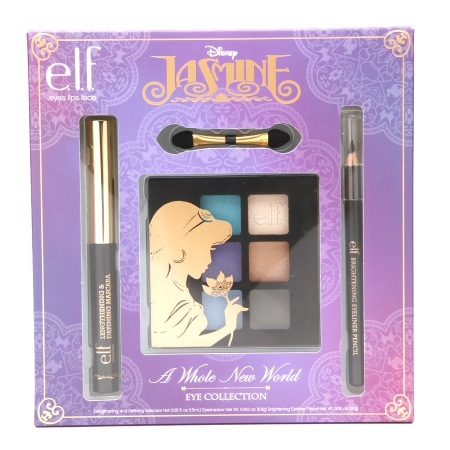 has been on a roll with their Disney makeup collections. The e.l.f. 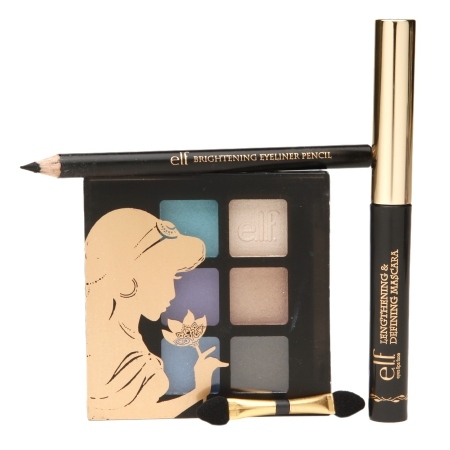 Snow White collection was hugely popular, then Ariel (and both of those are sadly not available anymore), then the “good vs evil” collection inspired by Aurora and Maleficent, and now this latest collection is inspired by Disney princess Jasmine. I really like these e.l.f. 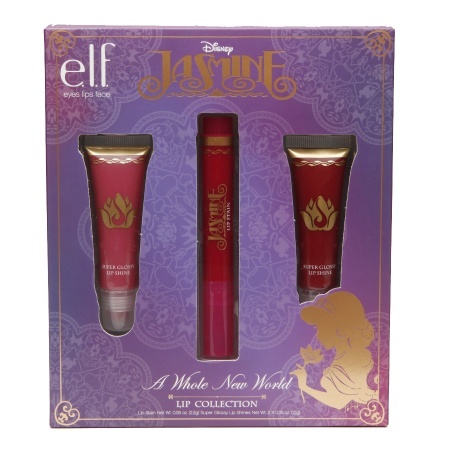 collections because they are so affordable and more widely available than the Sephora or Beautifully Disney collections. Plus I like that e.l.f. promises no animal testing and is totally vegan. This Jasmine collection falls a little flat for me, though. It’s tough to stop comparing it to the Sephora Jasmine collection, which was one of my favorites. 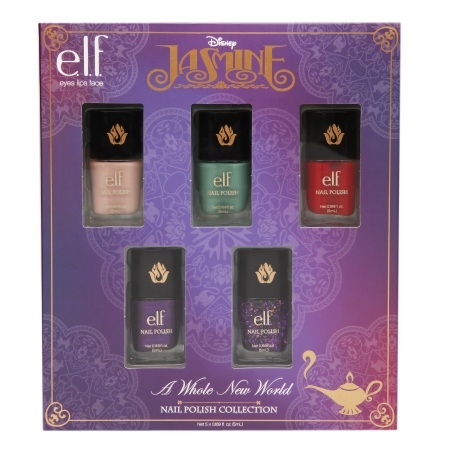 Aside from the nail polish and maybe the eyeliners, where are the bold, jewel tones? 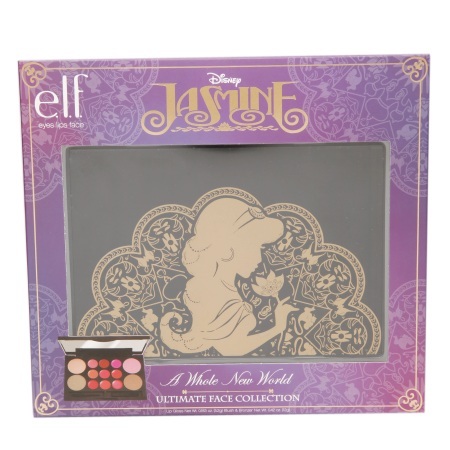 All of the palettes are pretty, but if you covered them up and asked me to guess the princess, I would never guess Jasmine. Still, it’s a decent collection and hopefully I can find it in a store soon so I can see it for myself. Maybe everything is brighter in person? The descriptions below are from the Walgreens website. 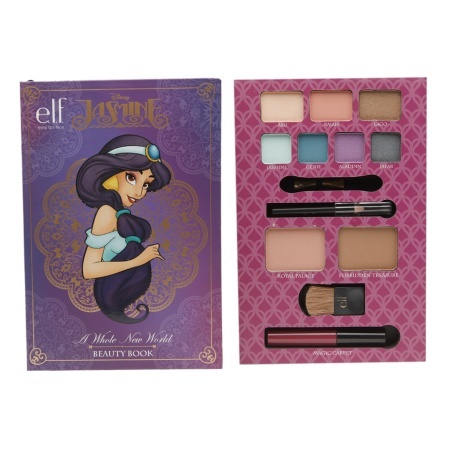 Includes a step-by-step guide for a fairytale makeup look. 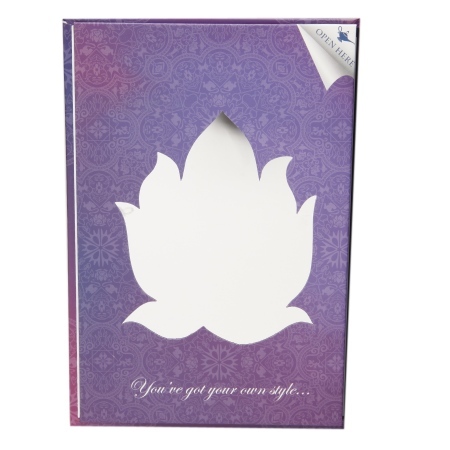 This Limited Edition Disney Jasmine Beauty Book is a collectible item that is sure to reflect your inner pretty princess. 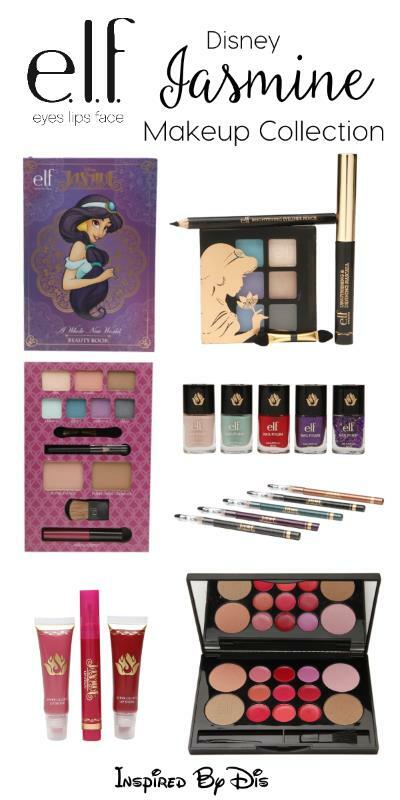 The all-in-one book includes the must have makeup essentials to create your favorite Disney look so you can be enchantingly beautiful for any occasion. This convenient 15 piece makeup collection for your lips and face allows you to create any look that reflects your personal style for any occasion. The small sleek design is great for on-the-go beauty touch ups. Instantly brighten your eyes with these shimmering metallic liners that put the spotlight on you. The long-lasting and smooth formulation glides on effortlessly without tugging at the delicate eye area. The built-in sharpener cap makes every application precise and perfect. With 5 dynamic shades included, you will sparkle and shine for any occasion, day or night. This eye collection allows you to create looks that reflect your personal style for any occasion. 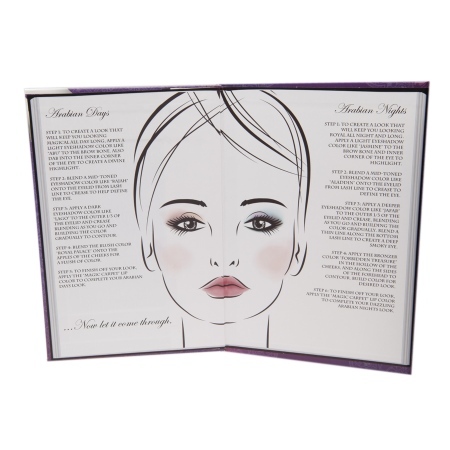 The beautiful soft textures melt into the skin for vibrant color that lasts. 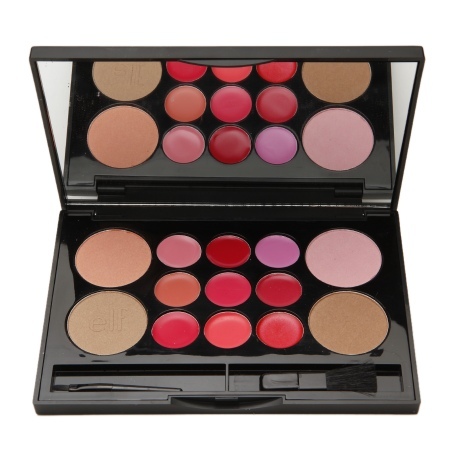 Convenient and easy to apply, just layer the colors to achieve your desired look. Apply the shadows wet or dry for a fabulous look that won’t crease or fade. Get beautiful precise color that lasts for hours with this pigment-rich lip marker. The pen-like tip lets you draw on color easily promoting a streak & smudge free professional look. Infused with nourishing Vitamin E to hydrate and moisturize lips. Indulge in sweet lip satisfaction with these Super Glossy Lip Shines. Each shade can be worn alone or mix and match for a custom color. The high shine formula provides rich color for a beautiful long-lasting look! Revolutionary bristle design helps glide color on flawlessly. Quick dry formula promotes no-mess application, and infused with active Vitamin E for stronger, healthier nails. What do you think of the e.l.f. 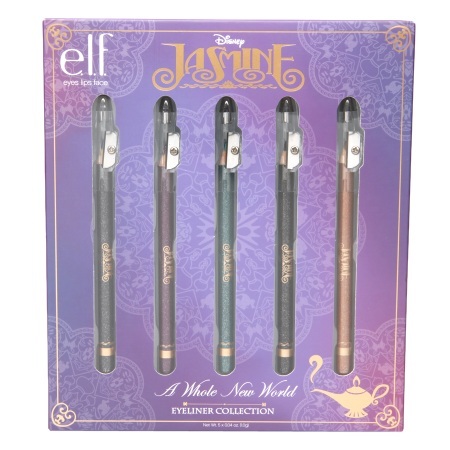 Disney Jasmine collection? I agree with you. Based on the colors, I would’ve guessed this was Rapunzel’s collection not Jasmine’s.